Elevate your energy level, satisfy your hunger and revel in the benefits that black chia seeds provide. Chia seeds are considered a superfood. They can be added to breakfast cereal, energy bars or smoothies. 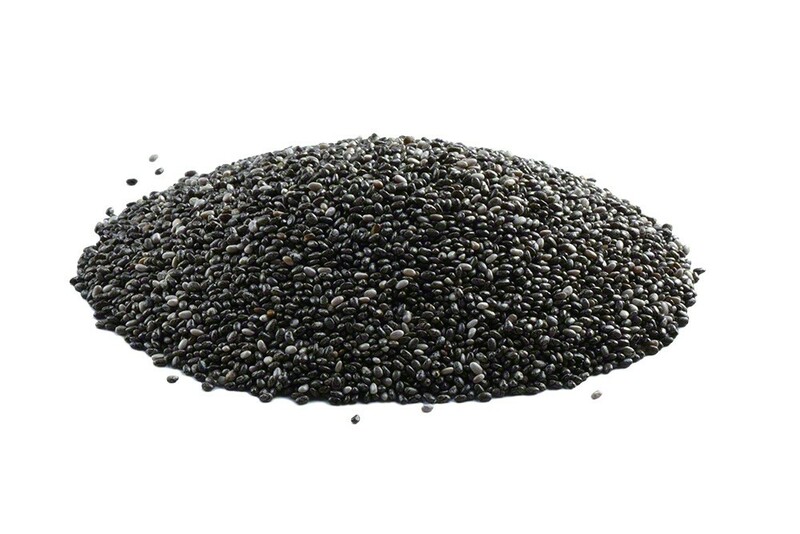 Dry, dense, crunchy chia seeds have a flavor similar to poppy seeds. Soaked seeds are soft and have a sweetness and texture that resembles tapioca pearls. Black chia seeds hold a place of prominence on any superfoods list. 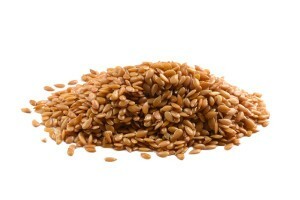 These nutritionally dense seeds are revered for their anti-aging, endurance and energizing benefits. Their health benefits include boosting heart health, brain health and digestive health. They can be a beneficial part of a diabetic diet due to their ability to help stabilize blood sugar. These seeds are a good source of calcium, manganese and phosphorus which are essential to maintaining strong bones and healthy teeth. Chia seeds earn their ranking as a superfood due to the numerous health benefits they provide and their ability to increase your energy, stabilize blood sugar and curb your appetite. Black chia seeds are small but they provide an extensive number of health benefits. They have such a diverse range of benefits that you’ll want to buy bulk chia seeds as an economical, convenient way to have them readily available to increase the nutritional value of your meals and snacks. Adding chia seeds to your diet can protect your cardiovascular health by lowering LDL cholesterol, increasing HDL cholesterol and regulating blood pressure. Adding these seeds to your diet can help prevent or reduce inflammation. Chia seeds are a good source of antioxidants that protect from free radicals, cancer and aging. Chia seeds have the distinction of being one of the best plant-based sources of Omega-3 fatty acids. There are approximately five grams of omega 3 fatty acids in a one-ounce serving of chia seeds. While many people consider salmon a main source of omega 3s, chia seeds have over 7 times more omega-3 fatty acids than salmon. An added bonus of chia seeds is they can be incorporated into your diet in many ways. Omega 3s help improve cognitive performance, support memory and reduce the risk of depression. They assist in prohibiting inflammation. Omega3s are an essential support to heart health. Getting a sufficient amount of omega 3s can help prevent bone loss that can lead to osteoporosis and cartilage loss which leads to arthritis. Diabetics that add chia seeds to their diet may experience better blood sugar control. The omega 3s in chia seeds can help improve circulation thereby reducing the risk of circulatory problems typically associated with diabetes. The omega 3 in chia seeds can help keep your skin looking youthful and prevent the development of skin conditions such as psoriasis. Go ahead and make bulk chia seeds a regular part of your shopping routine when you’re striving to maintain a healthy diet. It’s not often you find something that is as nutritionally beneficial and as easy to use as chia seeds. Chia seeds can be sprinkled on almost anything. 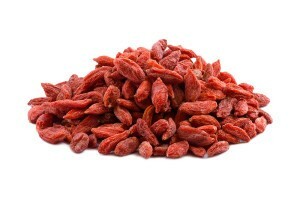 You can sprinkle them on yogurt, cereal, salads and many other quick-fix foods. They can be blended into a smoothie for a quick breakfast or snack. Chia seeds can be a healthy addition to muffin, cake, cookie or homemade bread recipes. If you prepare fruit purees for your family, chia seeds can be added to the puree to increase its nutritional value. Another quick and easy way to enjoy chia seeds is to sprinkle them on top of your favorite nut butter when preparing a sandwich for lunch. When mixing a breading for fish, chicken or vegetables, you can add chia seeds to the breading mixture. You can also add them to casserole recipes, stir-fry dishes or your breakfast pancake mix. If you plan to start a weight loss diet, one of the first things you might want to do is find chia seeds for sale and stock up on them. 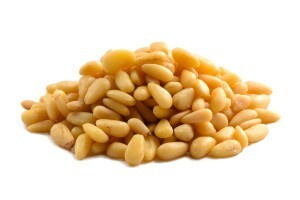 These seeds have a slightly nutty flavor, yet they don’t overpower whatever dish you add them to. They are an ideal weight loss food because of their high fiber content. When you add chia seeds to your meals and snacks, their fiber content makes you feel full faster and longer. A reduction in food consumption at mealtime and fewer snack cravings are key factors to a weight loss plan. It is recommended that no one skip breakfast, whether they are on a diet or not. When you’re dieting, beginning the day with a diet-friendly breakfast that includes a teaspoon of chia seeds incorporated in whatever method you choose, can get your day started off right by providing energy, nutritional value and beneficial fiber. These are excellent. I add them to a Caesar salad in place of croutons for a subtle crunch (and nice added color). This will now be a staple in our house. Great quality and value. Use it to control cholesterol and it works for me. Usually put it on oatmeal, but if I forget mix it in anything. I purchased 17 types for nuts and snacks for my and my friend’s family from nutshop. Very Fresh. One of the packet was slightly torn but everything inside was good. Overall, really impressed with the competitive pricing. all of us are 200% satisfied. nutstop chicago, he we come next weekend. Very healthy, just be careful because even if it’s healthy, it has tons of calories. These are good. I’ve been eating them on oatmeal for extra nutrition. I’d prefer if the label distinguished the country of origin, I’m suspicious of foods from China, it can be very polluted there. Great price, put it on top of oatmeal in the morning to control my cholesterol–works for me! The chia seeds were shipped promptly and were a great value. The bags were also nice with a ziploc closer. Exactly what I was looking for. Affordable chia seeds and cute packaging! It shipped super fast and was pleased with the service. I also liked the pricing on your items vs other sites and that you add the health benefit underneath your items in a description. I like that feature! the site is also easy to navigate on. I highly recommend Nutstop for all your health food needs! Never get sick of these! I use them in smoothies, yogurt and cereal mostly. But if you blend some of these with fresh fruit (I prefer strawberries) and let it get all gelled up, you can make a great low sugar jam with great health benefits from the chia! The price is also good so it’s an easy decision to pickup a bag! The price on your Chia seeds is very good. I also like the fact That you give a great description of the products and their benefits. Your service is excellent. Very fast shipping and quality products. I add these to everything now. Smoothies, water, whatever! So good! These are very fresh as they plump up in water quickly. Great price. Yogurt, shakes, cereal; add to most anything. Very versatile. Very good value! Chia seeds add great texture to healthy drinks, and can even be added to yogurt to make chia pudding. I bought these.to add fiber to my diet. Only drawback is that they get caught in your teeth. If they could be ground much finer into a powder, this would be better. I’ll definitely order again. Priced just right. Excellent quality chia seeds at a reasonable price for the product. Can recommend for any recipes calling for chia, whether it is a drink, smoothie, or baked good. Really great price on chia seeds. I’ve been using them in my smoothies every morning. best seeds I have found. Best price on 25lbs. I put these on everything. Cooking Items needed for ingredients in our new extractor/blender I expect nothing short of all the high quality products received from the Nutstop. These chia seeds are great in my smoothies… all that fiber & good nutrition! I just ordered Chia Seeds (1 lb bag) for 3 bags. The items came to my address very quickly. I tried Chia seeds on my yogurt, ice cream and peanut butter. Although there is no taste, it adds some texture. I like it. I added them to my homemade granola, but I really couldn’t taste them. I took a few out of the bag and still not much taste, which is perfect for my family, as long as they don’t see them they will eat them and be all the healthier for it. Going to try them in yogurt next. Good price, top quality, add to oatmeal in the morning to lower my cholesterol!! Good quality chia seeds, great for using in smoothies for an added energy! These were delicious and a good value.